As the old adage goes, time is money. It sounds a bit cold, but it really is true. It’s important to not waste time in your baking business, even if it only seems like a small chunk of your day, over time these wasted moments can add up to hours or days of time. By evaluating the processes you carry out in your business frequently, you can find ways to streamline the things you are doing repetitively. 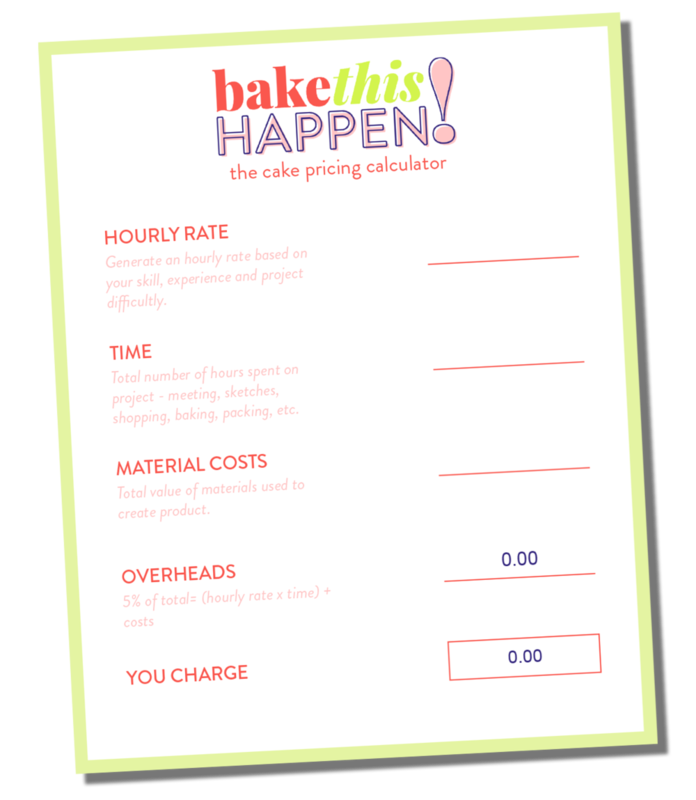 Not only will this stop you from driving yourself crazy doing the same time consuming tasks day in and day out, but it will allow you to free up time to spend elsewhere - like baking! There are many areas that can be streamlined so you don’t want to overwhelm yourself by trying to fix everything at once. Make a list of the areas you think you can be more efficient then start from the beginning. Today, we are going to the very start of your client interaction and talking about the order process. This is something you will have done countless times, but maybe not always the same way. Do you write things on a scrap of paper? Are orders coming in on Facebook, by email and by text? Without having everything in the same place you can be wasting time looking for things or, worse, misplace orders. Whether you like to take your orders on paper, or online, be sure that you put them all in the same place once they have been received. If you take orders by hand then rather than using a blank sheet of paper print off an order form with contains your standard set of questions. This means you won’t forget to ask the client an important piece of information. Once the form has been filled out, place it in a folder, in tray, filing drawer, on a clipboard on your kitchen wall….whatever works best for you. 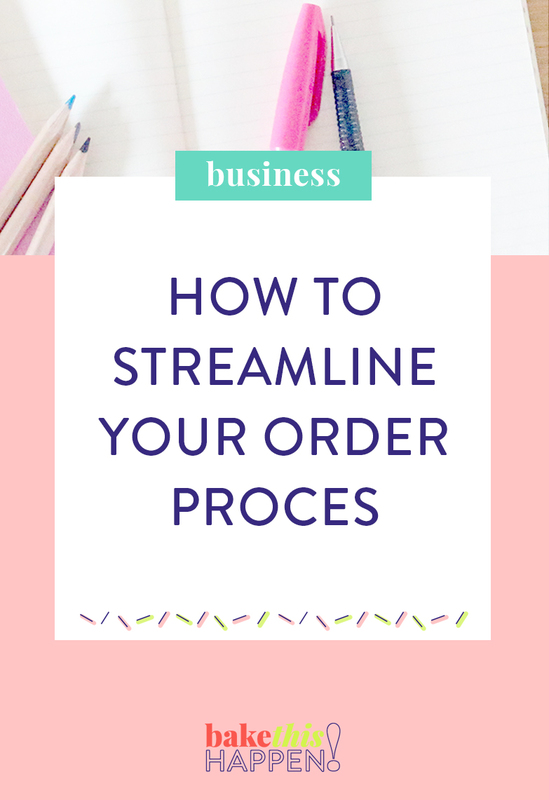 I found that organising my orders in a date sequence ensured that I was always prepared for upcoming orders and was able to plan my weeks ahead. I have created an order down for you to download for FREE! You can either download the PDF version which you can print out and complete by hand as it is. Or you can download the Excel version (which can also be opened in Google Sheets) which will allow you to add your custom branding to the form. If you prefer to take your orders on your computer, by email, it is still helpful for you to have a standard format to collect this information. This is the perfect place for you to put your website to work and use it as a tool to save you time in your cake business. By creating a Client Area or Customer Zone on your website, you can email them a link when they enquire about a cake order and ask them to follow the steps on the page. This saves you from spending time sending the same emails over and over again. You can then file it on your computer - although I do think it is beneficial to print out the order form and have it on your kitchen wall for forward planning. I have created a video tutorial below walking you through creating an online order form on your Squarespace website. Hopefully this has shown you how easy Squarespace is to use, but if you'd like to learn more, click the button below to find out more about my DIY Your Baking Business Website course.